Hot forged texture detail. The large stock here is one inch square solid! 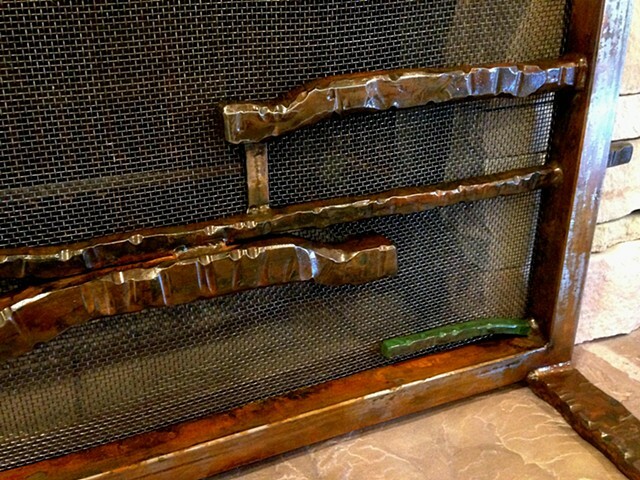 The finish is clear coated and the patinas are brown and green.